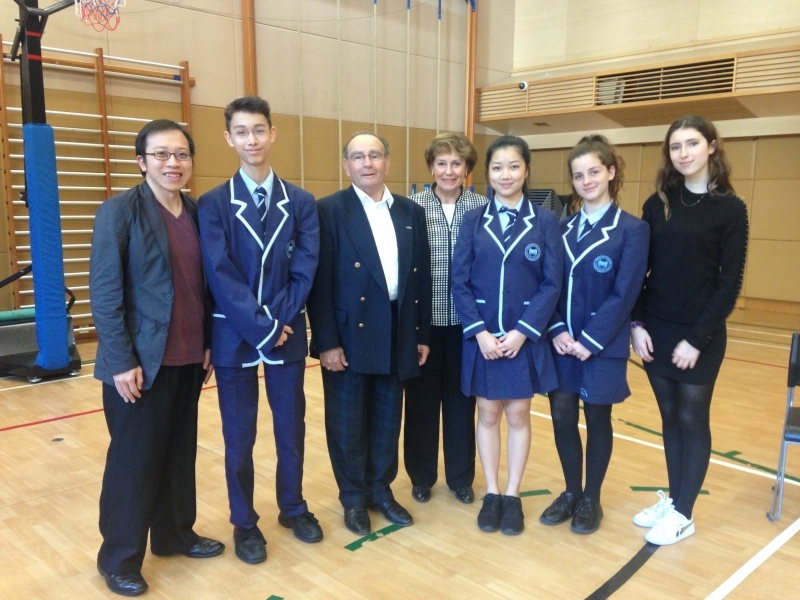 In the beginning of 2017, the HKHTC arranged for Holocaust survivor Mr Micha Gelber to address the following 11 schools across the region: West Island School, Harrow International School, Island School, French International School, Baptist Lui Ming Choi Secondary School, Shatin College, Elsa High School, Creative Secondary School, the University of Hong Kong, Hong Kong Baptist University, and Li Po Chun United World College. Accompanied by HKHTC Director of Education Simon Li, Mr Gelber spoke about his experience of how he was kept alive by the Nazis to be used as a potential bargaining chip and managed to survive the Westerbork and Bergen-Belsen camps. In total, around 3,000 students (aged 12-22) were present for Mr Gelber’s talks.